“ Elvis & the Great Pretenders”, a concert which pays tribute to the Legends of Rock, Pop, and Country, is coming to Oak Grove’s Thomas J. Lingo Community Center on Saturday, October 16th, at 7:00 p.m., for one night only. The concert is being presented by The Fiske Theatre in conjunction with the NEED Foundation. On stage as Elvis and Tim McGraw will be award-winning Elvis Tribute Artist, Todd C. Martin from Monroe, LA, who recently won third in the “Images of the King Worldwide Elvis Competition” held in Memphis, TN. 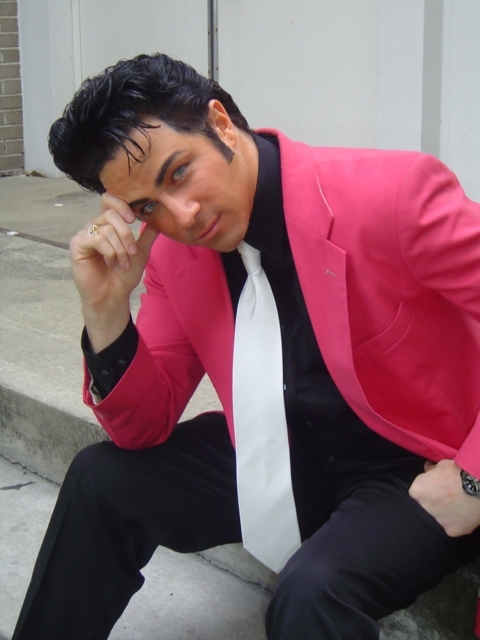 Todd has been performing his Elvis tribute for the past 12 years and continues to win numerous regional contests nationwide. Joining Todd will be Andy Ray Perry, from Franklinton, LA, as Garth Brooks and Conway Twitty. Steve Campbell from Oxford, AL, will star as Roy Orbison, often referred to as the Caruso of Rock. Portraying the infamous and beloved Patsy Cline will be Michelle Weaver-Morgan from Baton Rouge, LA. Advanced tickets are available at Small Town Designs, next door to the theatre, for $12, reserved seating is $25 and available at www.toddcmartin.com tickets can also be purchased the night of the show for $15. Tickets purchased online will be available at “will call” on night of the concert. For more information call the movieline at 318-428-8289. This entry was posted in Uncategorized and tagged Todd Martin. Bookmark the permalink.